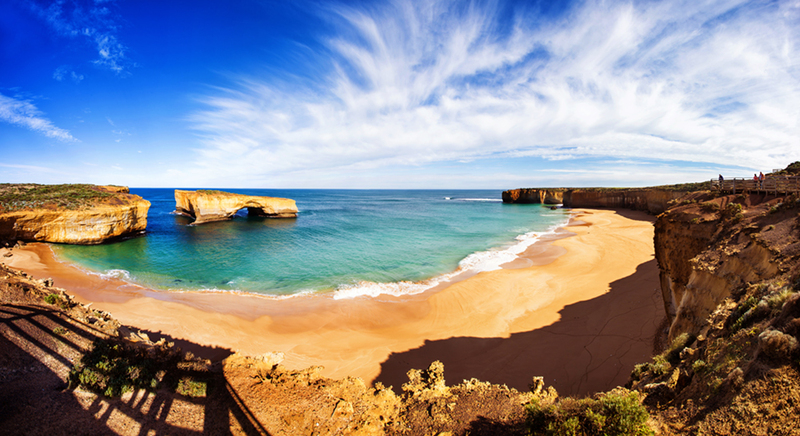 Australia attracts over 3 million tourists per year, and it’s no surprise why. Golden beaches, the ‘Red Centre’ and lush, green tropical rainforests mean there is something for every visitor in this vast country. The Australian landscape isn’t the only impressive natural feature. Underwater, Australia has over 4,000 species of fish and a multitude of marine mammals that call Australia home. Although many people associate diving in Australia with the warm waters of the Great Barrier Reef, there are so many incredible animals to be seen in the more temperate waters of Oz. Read on to learn about some beautiful Aussie locals that you might meet on your next dive. 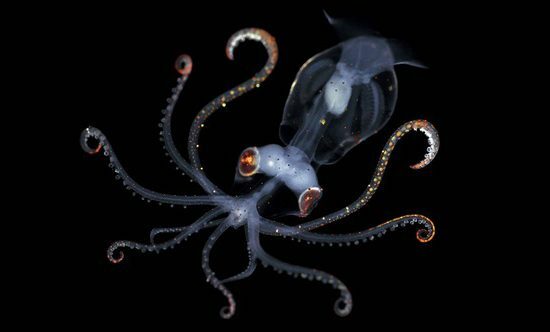 These delicate darlings are found in relatively shallow, temperate waters along the south-east coast of Australia. 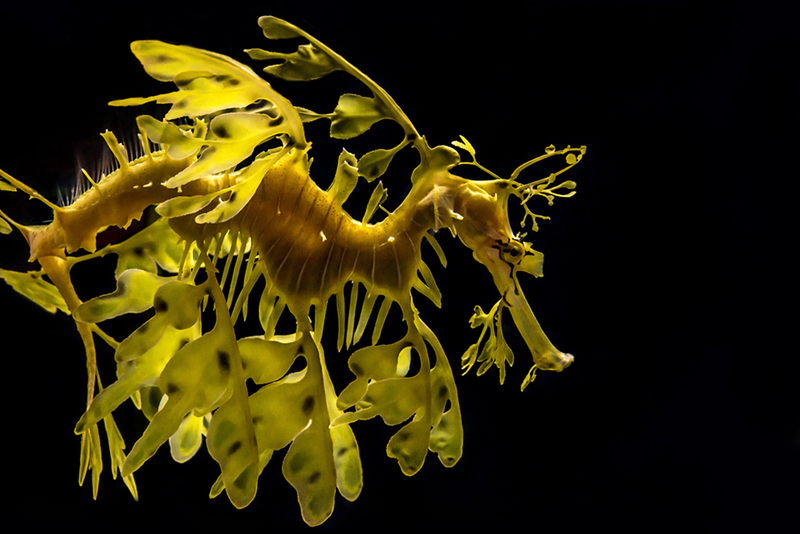 Leafy sea dragons can grow up to 35 cm (13.8 in) and a weedy sea dragon can grow up to an impressive 46 cm (18 in). Although large, they are often quite hard to spot as they camouflage perfectly into surrounding seaweed. In order to move through the water they use small pectoral fins behind their head and a longer fin on their back. This may not make them the quickest or most direct swimmer, but it does make them slowly move and sway just as seaweed does in the water. Like seahorses, it is the male sea dragon that fertilises and holds onto the eggs. The bright pink eggs stick onto the male’s tail (rather than in a pouch like seahorses), ready for the tiny (and extremely cute) babies to hatch. Known as puppies of the sea, these big fish are very curious and love watching and swimming alongside divers. 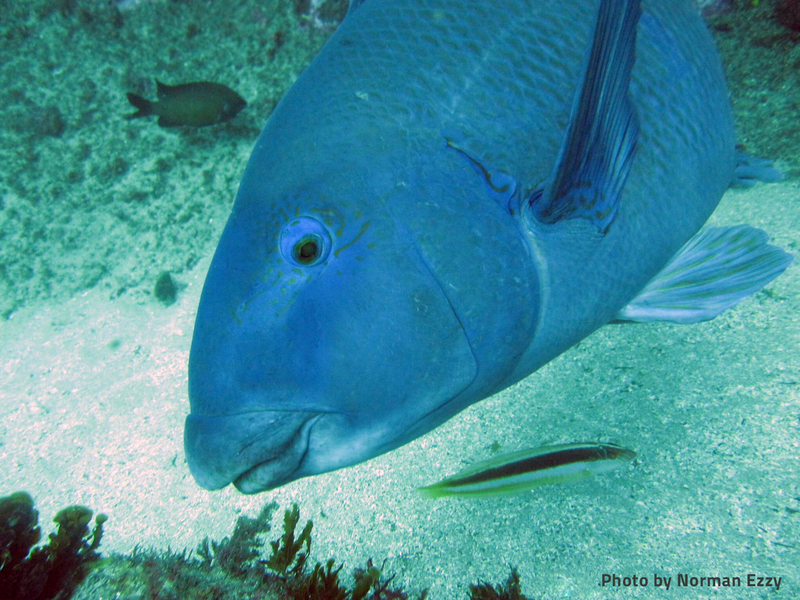 Blue gropers can grow to a length of 1m (3.2 ft) and can live to a ripe-old age of 35! This protected species call the southeast coastline of Australia home and divers in NSW are often spoilt with regular sightings of these friendly fish. 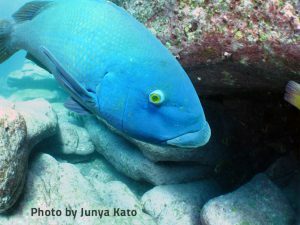 Interestingly, blue gropers are all born female and will change to become male later in their life. Although the name may imply they are a groper, these lovable fish are actually a wrasse. Arguably one of the most friendly and playful Aussie locals, these fun mammals absolutely love being silly and having a play with scuba divers. Darting around, bumping into cameras, flipping and twirling are what these guys love to do best. 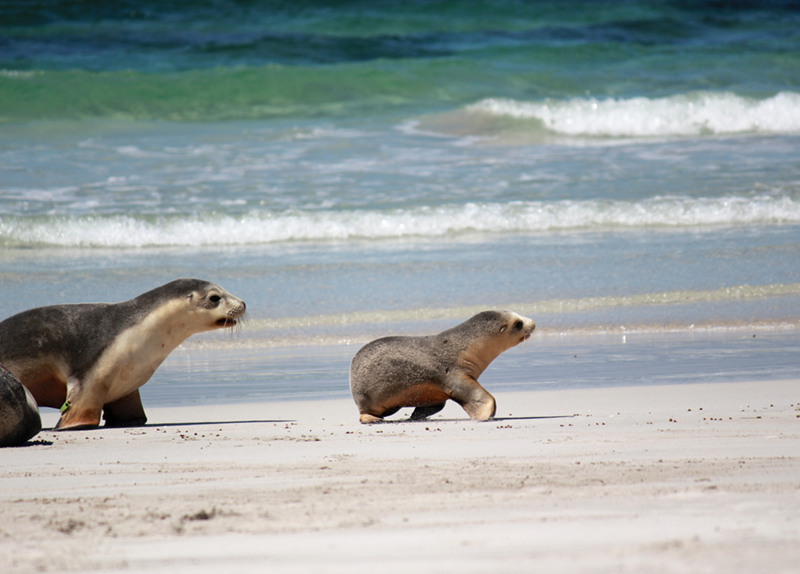 Like sea dragons, Australian sea lions are found in the temperate waters of Australia. 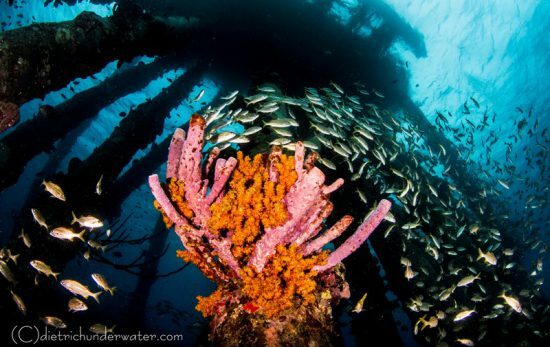 Many divers joke that you can smell them before you see them due to their appetite for fish! These placid, inquisitive sharks are a personal favourite. There is nothing quite like being surrounded by many of these incredible animals, all gracefully swimming around, occasionally coming close to have a look at you as if to say ‘hello’. 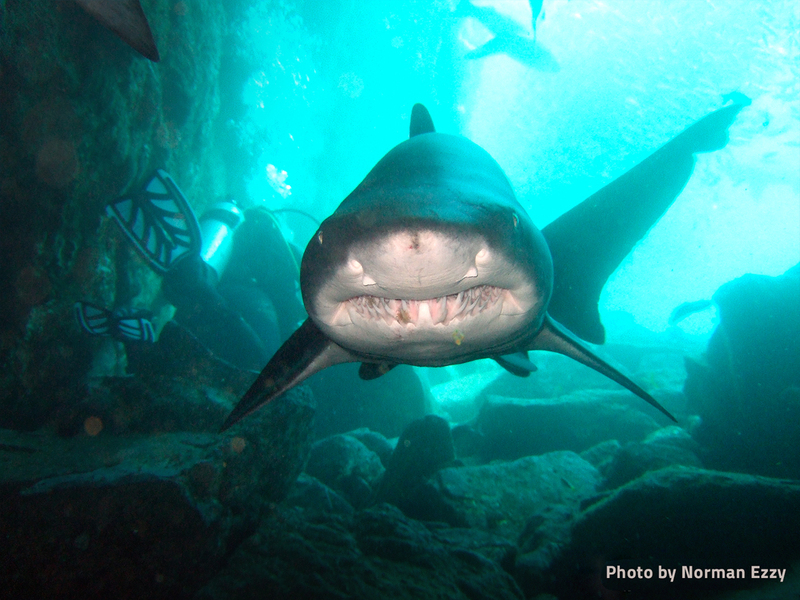 These sharks are identifiable by their bronze colour, long tail fin and brown spots along their sides. They have sharp, protruding teeth, which although look menacing, are used exclusively for eating fish, rays and crustaceans. 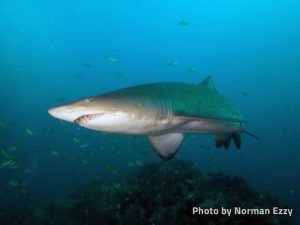 Unfortunately the east coast population of grey nurse sharks has been listed as ‘critically endangered’ despite being listed as a protected species since 1984. This is due to commercial and recreational fishermen accidentally catching and injuring the sharks with hooks, as well as these sharks having such a low reproductive rate. It is an all too common site to see these beautiful placid sharks with fish hooks and line in their mouths. 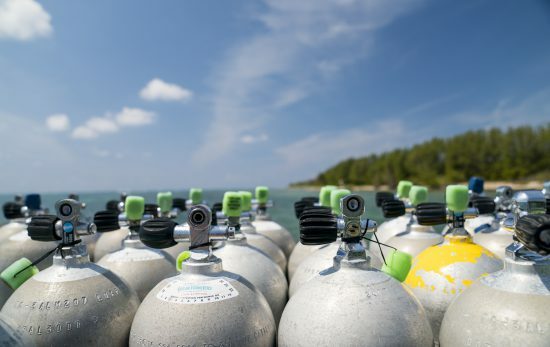 To learn more about diving in Australia, visit our Vacation Spotlight. 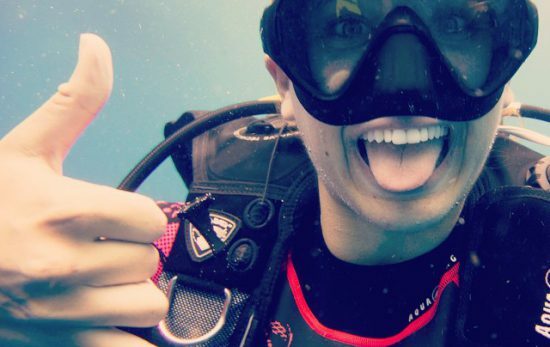 Have you been lucky enough to dive in Australia’s temperate waters? 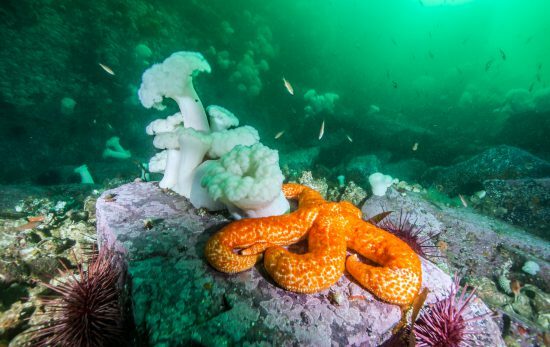 Leave a comment about your favourite animals that inhabit this incredible area.